Where are the places where you work? Any place where you would like us to narrate the story of your wedding day. We love to travel as much as we love to meet new people and discover new ways of doing things. It is great when it all comes together in a wedding day! We are based in Rome but we do photo shoots all over Italy, mainly in Lazio, Tuscany, Umbria and Puglia. We are available for anywhere in Italy and outside. Why are the prices not published on the web site? Because we don’t know anything about you and the wedding that you are organizing. Contact us by phone or send us an email using the form that you will find on the contact page of this site. We will be happy to provide you with all the information regarding photo shoots and related prices and help you find what best fits your needs. What is covered by your standard photography service? The services included in the standard wedding photography service are: bride getting ready, ceremony, photo shooting session of the newlyweds, reception, cutting of cake and first dance. In total around 10 hours of coverage depending on how each event is organized. Groom preparation is not included in our standard photography service but can be added to the package as an extra service. The wedding photography service can be personalized and aspects can be added or excluded, depending on your request. To see all the features of our wedding photography service you can visit the photography service To see all the features of our wedding photography service you can visit the photography service page on the web site. How can we book the photography service for our wedding day? Very simple. The booking of the photo shoot is done through a contract which summarizes the agreement (names and data of the photographers and newlyweds, type of services chosen, products purchased, venues and timetable for the wedding day, etc,) and 30% advance payment is made as a guarantee of the agreement. Only upon signature of the contract between photographers and newlyweds and confirmation of the advanced payment received, the actual date is officially confirmed. We like the photos we see on the web. But how do we know who took them? It is simple. Every wedding gallery pubblished on the website has a box with the name of the photographer/photographers who work in. All the photos you see on the website have been taken by Luca Panvini working alone or in pair with another professional photographer of Reportage di Matrimoni Studio. In additional you can visit the web page studio where you will find the profile of professional photographers who work in the studio and photos divided by photographer for ease of reference. We like to be transparent and believe that being professional is a fundamental prerequisite for our type of work as is respect for our potential clients as well as for fellow colleagues. Who will come to do the photography service on our wedding day? In the contract that is signed it is always specified who will be doing the entire wedding photography service and be responsible for all the other phases. 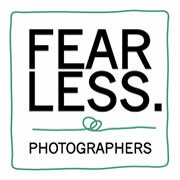 The selected photographer will be chosen by you and you will be able to meet him/her before the wedding. In case we are not available for your chosen day, we will be happy to suggest you other professionals with whom we share style and our way of working. We love natural color pictures but we would also like some photos in black and white. Is that possible? Of course it is. During the wedding day we take pictures in color, and if requested by the newlyweds, in the post production phase the selected and the most flattering photographs will be postproducted also in black and white version. Our post production editing phase is professionally applied to each photographic file. We look at quality and not quantity. We like spontaneous pictures but we would still like to have some portrait photos with relatives and friends. Is it possible? Of course it is. We like spontaneous photos which capture candid moments of your wedding because we think that those will represent the best moments and all the emotions of your wedding day which you can keep through out time. Nonetheless, a nice photo of the group and some posed photographs, mainly of the newlyweds with their parents and closes friends is reccomended in order to deliver a complete documentation of the wedding day. Usually the session of the posed photos is done during the reception and if previously organized it is a short session (around 20 minutes) leaving you and your invitees to enjoy your wedding day and for us to shoot the atmosphere the way it happens. We would like to have a little photo shooting of us after the ceremony moment, but we do not want the guests to wait for us. Is it possible? Of course it is. The wedding is your day and it is right that you live it with your friends and realtives and not by yourself with a photographer. In most of the cases 20/30 minutes are enaugh for this part of the wedding photography service. Photos are our primary choice but we would like also to have a video of our wedding day. Do you offer this type of service? Our Studio offer exclusively wedding photography service. In order to offer complete service where requested, the studio collaborates with professional videographer in Rome and all around Italy. These professionals share our style, way of working and work ethic. Some video trailers are available on our website video page. We get organized and the photographs come out even better than on a sunny day. The important thing is to know how to control the situation (the photographer) and never lose a smile (newlywed). Interesting photographs will come out, it is guaranteed. Do you have additional questions? Get in touch with us. We will be happy to reply! How many photos/files will be delivered for our wedding day? The number of photographic files delivered to you will be at least 400, all fully optimized for printing and delivered in high quality JPG format. In the contract it is stipulated that any other photographs exceeding this number will be provided free of charge. Usually in weddings with many different happenings, the number of photo files is much higher (around 600 to 700). Are the files delivered in the highest resolution? Absolutely yes. All the provided files are with the highest resolution. You can print them where you want and as many as you want. We are happy to help you with printing and with the creation of your album in the case you desire so. For more information regarding modalities for delivery of services, visit our wedding photography service page on web site. Have the delivered photos/files been edited? All the files to be provided to you will be edited and optimized for printing. This means that the files will be optimized for brightness, white balance and fraiming. We do not like misshaped photos. All the files delivered will be ready to print. What are delivery times of your wedding photography service? 45 days from the date of your wedding day. During the peak times of the year (from June to September) additional time might be needed for the postproduction phase. Delivery times are always established beforehand and newlyweds are informed prior to signing of the contract. Would you recommend to print the photos and/or to create an album? Absolutely yes. The wedding album is a synthesis of the wedding day. It is a tale made of images of one of the most important days of your life to be cherished throughout time. It is nice to think that one day you and your children will browse through memories of that special day together. It is one of the reasons (probably the main reason) why we love this work and what gives us enthusiasm to create a testimony, through photographs, of the beauty of the emotions. For all our offers regarding the printing and the albums please see album page of the site. Per tutte le nostre offerte riguardanti la stampa e gli album si veda la sezione wedding album on the web site. When to choose wedding album? There is no rule. You can add an album in the contract when you book your photography service or choose one of our album offers after you see photos that we deliver to you. Who decides which photographs to include in the wedding album and who does the layout? The newlyweds select the pictures for the wedding album. We will do the layout, choosing the best way to narrate your wedding day. Delivery time for made and print the album are short. It takes around 20 working days from the day that newlyweds approve the draft copy of the album which will be sent in PDF format for review. How much does the wedding album cost? It is not possible to provide a price beforehand given so many variables that make up the final price of the album such as: dimensions of the product, number of photographs to insert, associated accessories related to the main album and especially, the finishing materials. We always suggest to review the examples of the albums in person before choosing them and also so that you can get the visual impression of all of the album characteristics to be able to make an informed decision of what you would like as a final product. Do you wish to have a quotation for your wedding album? Contact us and we will be happy to book a meeting in the studio to show you the range of our products and help you choose the type of the products you desire.